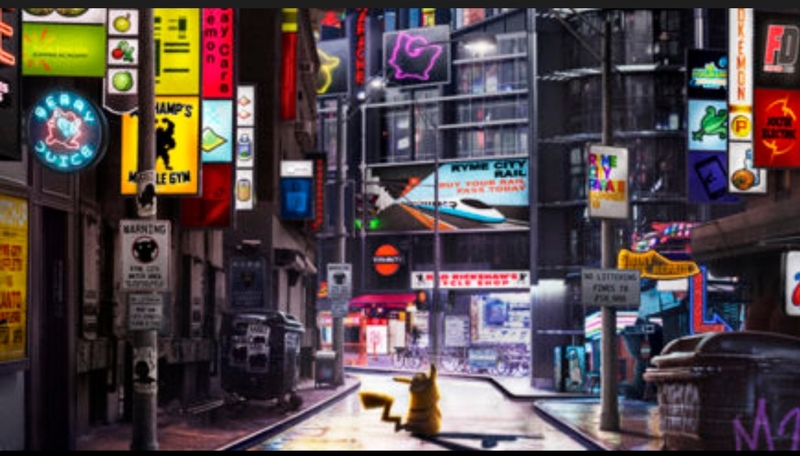 Pokémon fans are counting down the days until the release of the 1st live action Pokémon movie scheduled to hit theaters next month. 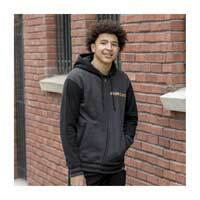 And, to keep the momentum going, Warner Bros. UK has just released 4 new TV spots which give expectant fans an additional sneak peek at what’s coming their way. You can watch each of the 4 new TV spots by clicking on the links below. 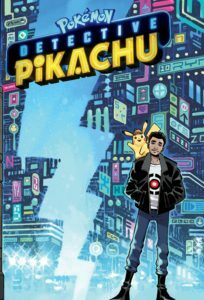 In other news, Legendary Comics has announced that a Detective Pikachu graphic novel is coming this Summer, which will explore the plotline of the movie (& 3DS game), and follow the adventures of Tim Goodman and Detective Pikachu as they search for Tim’s missing father on their journey through Ryme City. 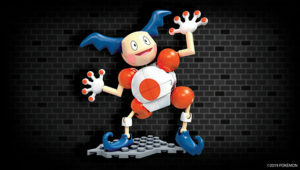 The comic will be written by Brian Buccellato and be available on-line and in stores. 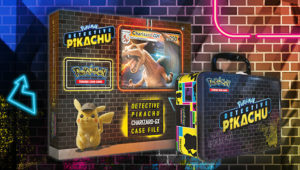 For those of you who love collecting, a line of plushies, figures, trading cards and wearable gear is on its way with the movie’s release. 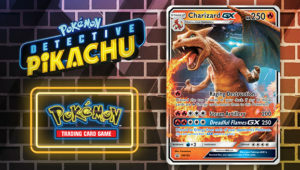 A very few items can be found in your local GameStop store right now. 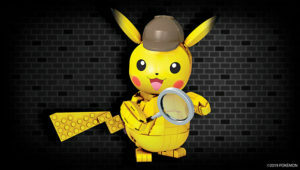 Keep a watch out for the full collection to go up for sale on-line at The Pokémon Company International. 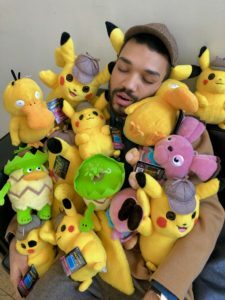 If you’re looking for even more ways to express your love for “Pika, Pika,” The Pokémon Center is also offering a line-up of DP themed mugs, t-shirts, and other cool keepsakes, which are currently available for purchase on their site. 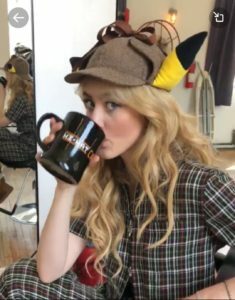 Detective Pikachu starring Justice Smith, Kathryn Newton, and the voice of Ryan Reynolds will release in theaters on May 10th. Check out the two full-length movie trailers that have been released so far, on the official DP website. 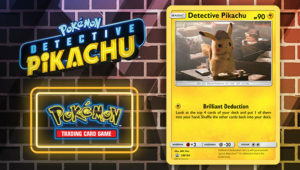 Keep up with the latest movie news via the Detective Pikachu Twitter account. 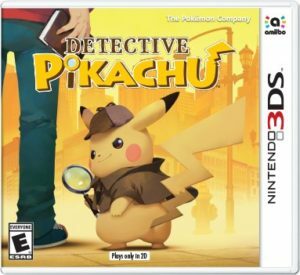 The Detective Pikachu game for the 3DS, which the movie’s plot is based upon, is available in stores and on-line for $39.99. You can read more about the game, here and here.